Not that it should come as a big surprise, but over the weekend, Miami unveiled new home (adidas!) uniforms for the 2014-15 season. And, they look fantastic! Adorned with an adidas hallmark, the back collar of the sweater features the words, “Established 1809” as a sign off and a reminder that as beautiful as Mother Miami is, she’s seen a thing or two. Take a look at a few shots from Fan Appreciation night and let us know what you think! 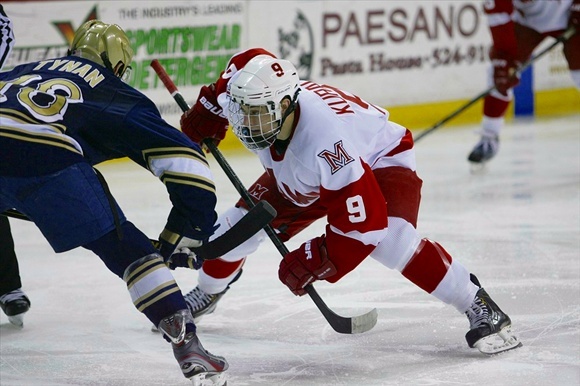 We now stand just 8 days away from the start of the 2014-15 Miami RedHawks hockey season. With much to be desired in the current state of Miami Athletics, we can only hope that last year’s abysmal hockey regular season was just a blip on the radar and Miami will return to prominence this season. In this, the first of a multi-part preview of the 2014-15 season, we take a look at the returning RedHawks. Having only lost Max Cook (1G, 8A) and Bryon Paulazzo (3G, 2A) to graduation, many of us expected to lose a few more familiar faces to early departures. 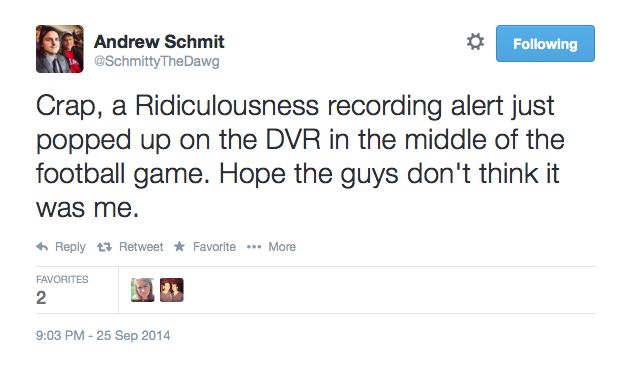 Instead, Miami returns 96.4% of it’s scoring from last year – a staggering number. Really, who isn’t back? As we mentioned above, that list is short. Cook and Paulazzo have graduated. But also missing will be Jimmy Mullin (7 points in 19 games in 2013-14) this season. Mullin is expected to redshirt this season while he recovers from last year’s season-ending injury. 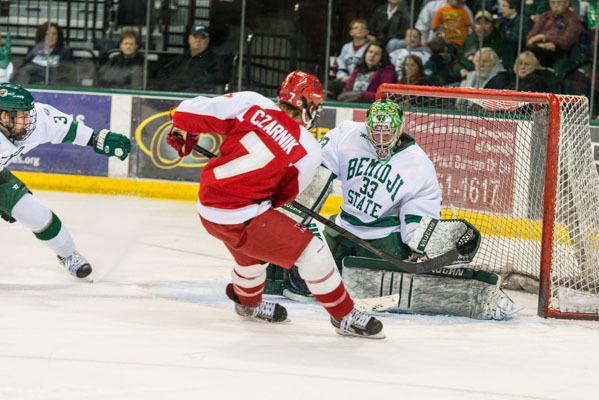 Austin Czarnik will captain the RedHawks once again in 2014-15. The Captain returns, and so do his 13 goals and 34 assists from last season. Austin Czarnik had a hand in 47 of Miami’s 111 goals in 2013-14, and the senior should have no problem equalling or eclipsing those numbers this season. As the only RedHawk currently over 100 career points, I expect nothing less than a Hobey-Hattrick worthy season from Czarnik. The other seniors should also be expected to bring everything they have to the table in 2014-15. Blake Coleman was a man possessed last year. He was the catalyst behing Miami’s run through the NCHC playoffs and despite playing in only 27 games (10-11 less than the rest of the leaders), Coleman was the top goal scorer last season with 19 twine-tinglers. Blake has been named an Assistant captain this season. 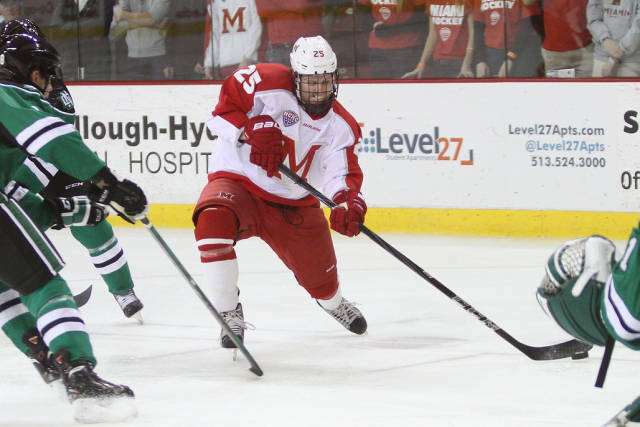 Along with Czarnik and Coleman, Alex Wideman is the only other RedHawk who has played in over 100 games in the Red and White. Always antagonizing the opponents, Wideman will be asked to pick up his production this season after a 7 goal and 9 assist season a year ago. It is a surprise for me to say this, but Riley Barber is also back for Head Coach Enrico Blasi. Barber was highly regarded when he was drafted by the Washington Capitals, and the general consensus was that he had one foot out the door last season. In a rather surprising turn of events, Barber and his 83 career points return for another season. With possible linemates such as Assistant Captain Sean Kuraly (12G, 17A), Czarnik and other younger forwards, Barber is going to be hard to contain this season. Anthony Louis is a player that I also expect increased productivity from this season. His 25 points as a freshman last season dwindled as Miami went through the NCHC schedule, but I suspect another year of experience will help greatly. Switching over to the Defensive side of the ice, Miami’s D contained all Freshmen and Sophomores last season. Matthew Caito led all defensemen in scoring with 3 goals and 13 assists and played in all 38 games. He’ll be leaned on heavily this season as the leader of the blueliners. The entire defensive corps is back for another year, and is bolstered by the addition of Colin Sullivan – a Junior transfer from Boston College who was selected by Montreal in the NHL Entry Draft. We’ll have more on Sullivan in our “newcomers” this weekend. Who’s got to step up? As I starting thinking about this question, I thought it would be the dynamic duo of Ryan McKay and Jay Williams tending to the Miami nets. However, take a look at their stats from last season. Ryan McKay will need to be good, but the defense will need to be much improved in 2014-15. Ryan McKay played in 26 games, stopped 91.3% of the shots he faced and had a 2.70 goals against average. Not bad for a guy who went 10-13-3. Jay Williams stopped 88.2% of the shots fired in his direction, and went 5-7-0 in 14 starts/16 appearances. Those stats are well down from his freshman year, but nothing to be scared of and a full recovery should be in store for this season. Both goaltenders are now Juniors and will need to be better, but it’s the Defense that really must step up. Too many times last year, McKay and Williams were left out to dry. Facing 3 on 1, 2 on 1 and 2 on 0 situations were all to common last season. Flat out breakdowns in the defensive zone left players with the puck in prime scoring positions and this is where Miami has to be significantly better. With another year under their belts, Miami’s defense should be able to step up to the challenge. Who will be the MVP? We know what Czarnik can do. 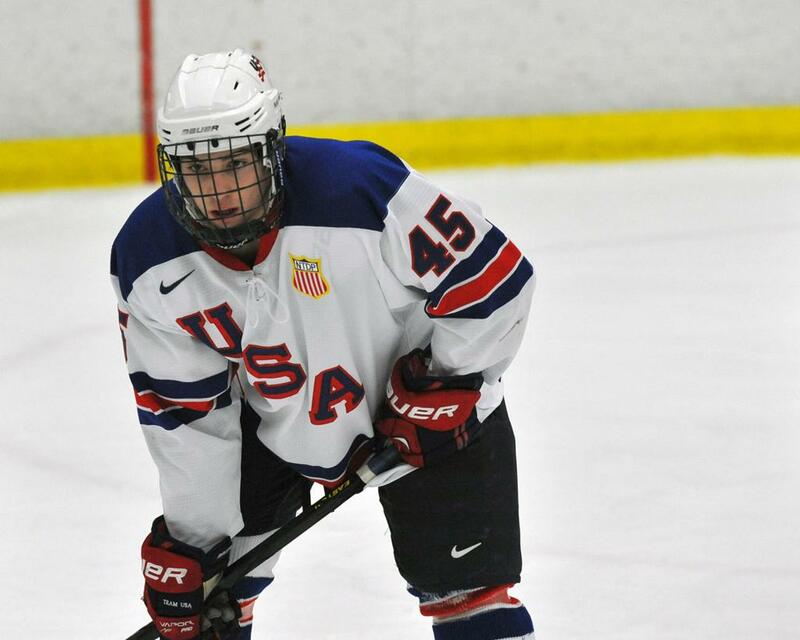 Barber was the Captin for Team USA at the 2014 World Junior Championships and he’s going to score his points. We know Coleman is a force to be reckoned with when he’s healthy. But the catalyst and most important cog in the Miami wheel is Junior Sean Kuraly. There’s a bit of history in play this season with his father Rick being inducted to the Miami Hall of Fame, but don’t expect that to derail Kuraly. The 6’2″ Dublin, Ohio native was frequently the hardest working player on the ice as Miami fought to get out of the NCHC cellar. Kuraly was 3rd on the team in points last year and has played in 78 games in his first 2 seasons (only missing 2 games when he was winning Gold with Team USA at the 2013 WJC). Kuraly is constantly attracting players to his area of the ice and with a big frame and a few more pounds added this year, I fully expect a meaner, hungrier Kuraly. Similar to the way fellow San Jose Sharks draftee Tommy Wingels did in his time at Miami, I’ve seen Kuraly take over games in the middle of the ice in both the offensive AND defensive zones. He’s a force on the power play and penalty kill and his speed may be unmatched on the Miami bench. So there you have it. 96.4% of the scoring returns. 1431 combined NCAA games played. There aren’t many teams that will have this much scoring and experience return to the ice. After last year’s struggles, let’s hope that this season’s turn around ends with a few trophies. It all starts in just 8 days. Ok, here’s the detail on this awesome opportunity. The Miami Blue Line Club is hosting a tour of the facilities at Steve Cady Arena including the all-new weight room! The tour will be held on October 15, but you must register no later than 5 PM on October 8. Here are all the details as provided by the Miami BLC. Go! The tour is open to ALL Miami hockey fans, not just BLC members, and there is no cost. Light snacks will be served. In case you missed it, and I bet you did, the hockey program is holding an equipment sale. Take a look at what they posted and go support the program! On September 26, Miami Hockey will hold a pre-season pep rally at 6pm and equipment sale at 645. The equipment sale will feature jerseys, sticks, gloves, socks, some pads (elbows and shoulders mainly), goal equipment and various other gear. Come support the team and pick up some cool gear! !